A person can live without parents, lover or any relationship but not without friends. Friendship is the special kind of heavenly relationship. 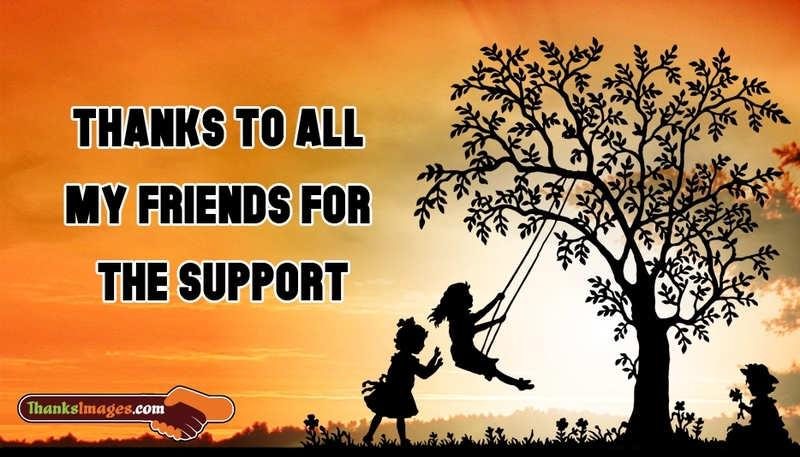 You can use this thank you image with the text "Thanks To All My Friends For The Support" to share with your friends for their support in your endurance.